I've been spying on Peter Lerangis' Seven Wonders series and it's been a while that I know of the next title, courtesy of the series' official website. And thanks to the author himself, we now have the glorious cover of the fifth Seven Wonders adventure, The Legend of the Rift. 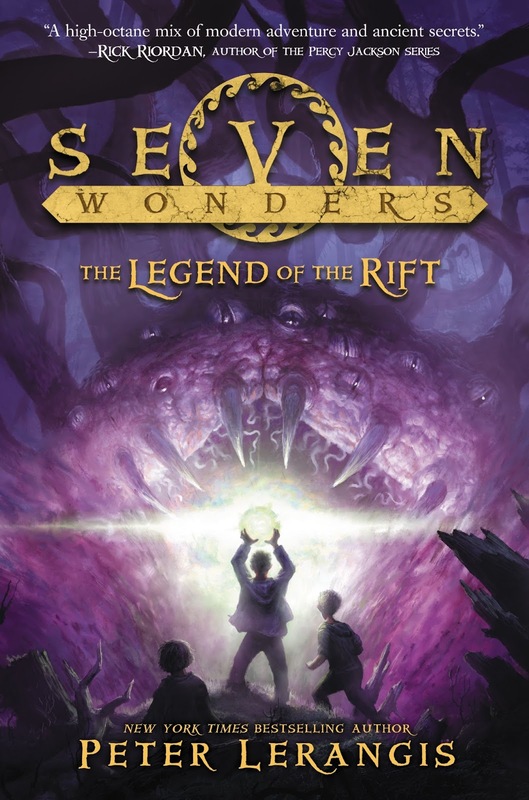 Check out the cover of Seven Wonders Book 5: The Legend of the Rift by Peter Lerangis. Follow the story of Jack McKinley in the mysterious, action-packed adventure series that takes place throughout the Seven Wonders of the Ancient World. Jack discovers a secret organization on a hidden island, and becomes the leader of a mission to retrieve seven lost magical orbs. As Jack and his three friends realize their lives are at stake, they have no choice but to accept the quest and embark on the challenge of their lives. Four friends. Seven Wonders. One goal. The official synopsis of The Legend Of The Rift by Peter Lerangis has not been revealed yet. But expect it to hit book stores on March 8, 2016.